Ranjit Saha runs an automobile spare parts manufacturing business in Howrah, near Kolkata. Saha has installed the best equipment to make sure his products are top-quality and they are able to meet customer demands in the market. He is proud of the company he owns, and the turnover that his business generates. But sometimes things don’t go according to our plans. A few months ago, a fire broke out at Saha’s factory, causing heavy damage to his property and equipment. Though the incident is beyond his control, the blame still comes on him for the financial loss he suffered. Had Saha taken a comprehensive commercial property insurance cover, he would have been in a better place than he is today. Such accidents can happen anytime and they come unannounced. This is why knowing about commercial property insurance in India is important for business owners to cover their losses and protect their valuable assets during events such as fire, theft, vandalism, or natural disaster. Commercial property insurance is a tailored insurance policy that covers financial loss occurred from the damage of physical structures and assets owned by your company. Be it office furniture, a big warehouse, or expensive equipment, commercial property insurance provides financial cover against any damage to your company’s physical structures and assets. The business-centred insurance policy helps enterprises to quickly recover after suffering a financial loss. In light of the various incidents of fire hazards in commercial buildings, it is imperative to opt for a good commercial property insurance policy. Geography and location – The geography and location influence the insurance premium of commercial properties in a big way. For instance, you will have to pay a higher premium if your commercial property is in an area where the crime rate is high. Likewise, if the commercial property is in a district that is highly prone to cyclones, then you might have to pay a higher premium as well. The age of commercial property – There is a vast difference between the insurance premium of a new commercial building and an old one. The premium for an old commercial property is higher because old structures attract more risk of damage. Moreover, chances of fire hazards like short-circuit are more in old buildings, and hence, the insurance premium is higher. The type of material and equipment stored – If you have expensive, high-end equipment and machinery inside the property, then you will have to pay a higher insurance premium. The type of material you store will also affect your insurance premium. For example, if you have highly inflammable materials, the risk of fire will be more, and for that reason, the insurance premium will also be more. Carefully evaluate the coverage scope – You’ll have to precisely assess your business risks before taking out an insurance policy for your commercial property. This involves the meticulous estimation of the insurance coverage you need for your commercial property. You should also invite quotes from multiple insurance companies and then decide which offer best suits your risk profile. Keep in mind that the insurance coverage you take should adequately cover your risks. If you are a startup company, dealing with a fund crunch, then you do not have to include all your business assets in the insurance policy. Instead, cover the assets that are critical for your business operation. Opt for bundled coverage – Rather than taking separate policies for different risks, try to get all your risks covered under one policy. The cost of a single, comprehensive policy with multiple coverages is lower than independent policies. This bundling of risk coverage is a prudent way of taking an insurance policy for your commercial property. 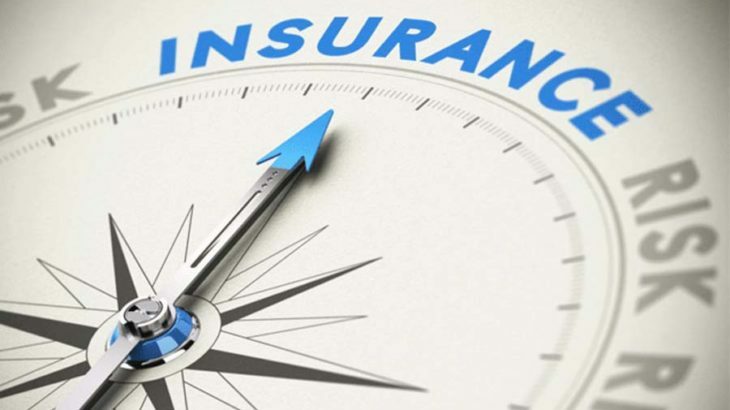 A bundled product, offered by many insurance companies, can give you financial cover for a variety of risks, including damage caused by arson, burglary, violence, wind, and hailstorm. However, prices for an identical set of risks might vary from company to company, so make sure to shop around before buying a policy. It is imperative to note that a commercial property insurance policy will cover losses due to certain covered threats. For instance, damages resulting from acts of war are not covered by most insurance policies. Also, some insurance companies do not cover loss due to severe weather phenomena, such as floods, earthquakes, and volcanoes. Data theft, because of a cyber-attack, is not covered by most companies, but recently, many new-generation FinTech institutions are offering such services. Do your due diligence before zeroing in on a commercial property insurance policy and you will be better armed to protect your business property when the unexpected happens.